I have been loving the last week with my knitting, I can tell you. 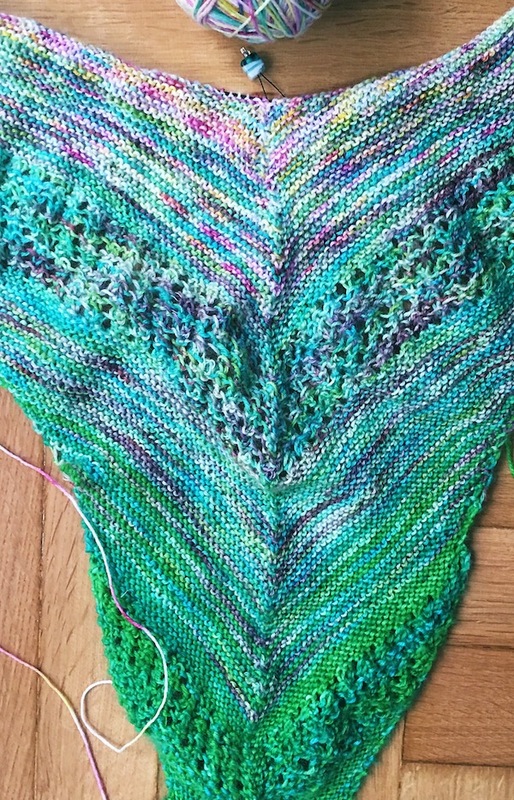 Because the Find Your Fade Shawl knit that I started one week ago is so intriguing and such a nice knit and is coming along nicely, if I do say so myself. Consisted of me knitting the colour melting with my second colour and some of the lace part as well. Even though I am not keen on lacy knitting, the pattern is still quite easy to sort of remember after a few rows. I do have to mark each row down in my trusty knitting notebook, to keep a track of where I am up to at every stage along this great journey. 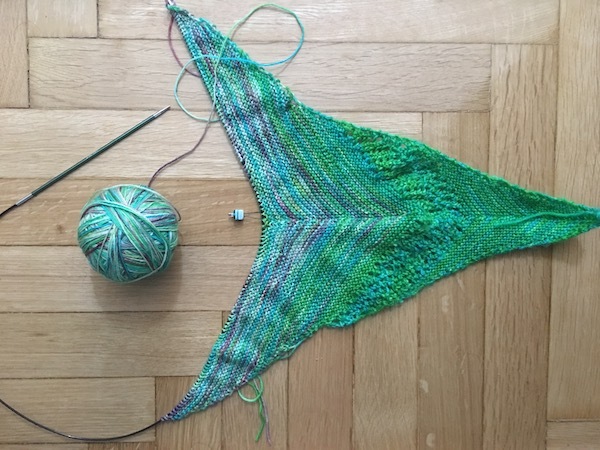 These two days got me up to joining in colour three and realising that this shawl is going to be big, very big and man oh man, would I ever get this Find your Fade Shawl finished. Would I end up getting bored with it? Which sometimes happens with my knitting and I. Should I cast on another pair of socks (which I did a few days later). Nothing wrong with having five work in progress’s on the go right? The picture below has progress and the next lot of colours eagerly lined awaiting their turn for someday in the near future. 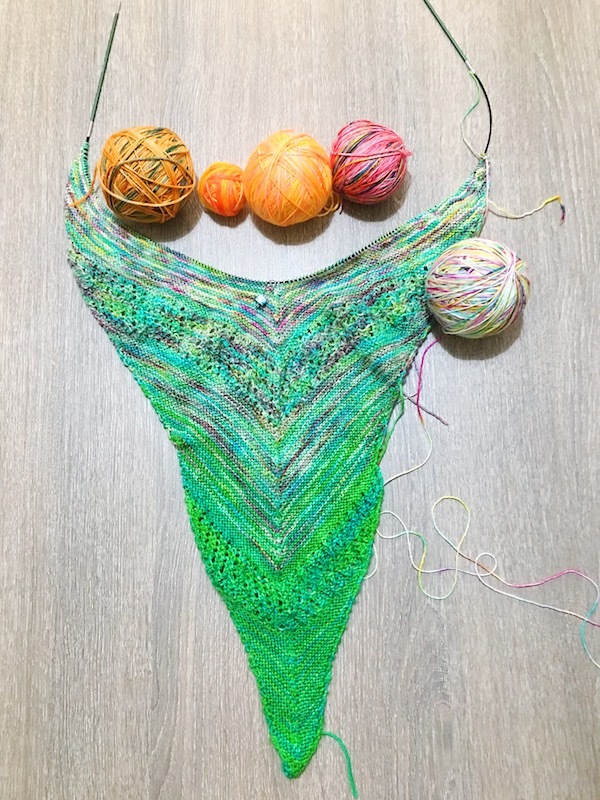 So there you have it folks, that is my Find Your Fade Shawl week and still happy to plug along. 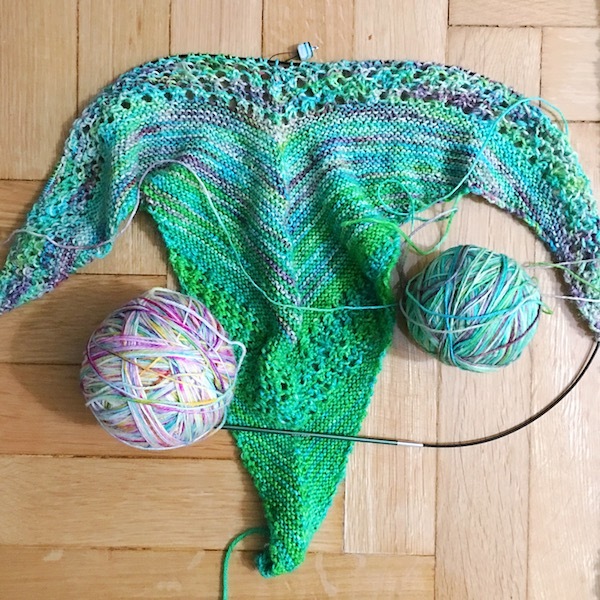 Will be back next week with some more progress and will keep admiring all the other Find Your Fade Shawl progresses on Instagram. There certainly are some lovely ones out there. Until next time, happy knitting everybody. Get notified when Woolswap registrations are open. I joined in thinking that yeah I'll try it one month just to see. It was a fantastic experience, organized, clear instructions, helpful happy people. I joined in thinking that yeah I'll try it one month just to see. It was a fantastic experience, organized, clear instructions, helpful happy people. And I now have a connection to someone half way around the world. I would highly recommend woolswap, I was a little nervous about joining up I had heard horror stories about swaps friends had done but I had nothing to worry about I received a wonderful box, after great communications with my partner to learn about each other. I will be signed up for the next one!